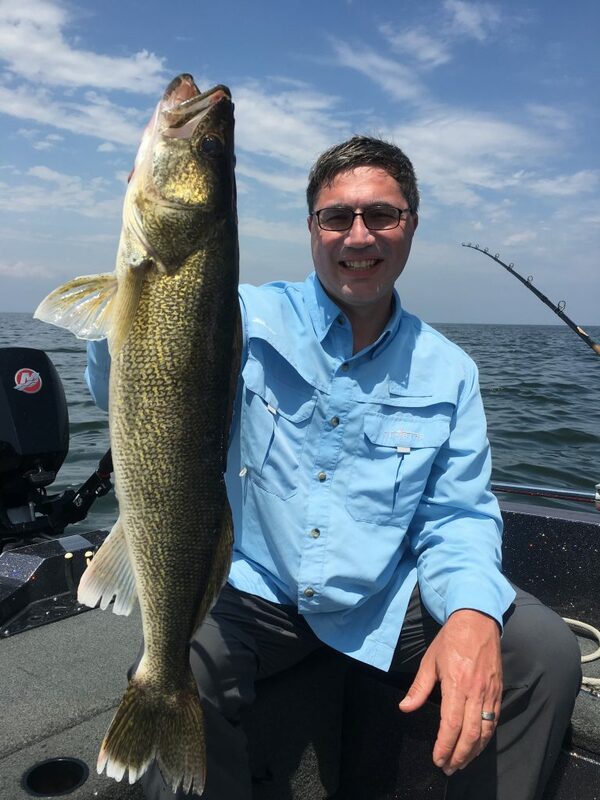 Over the past week we did several walleye trips early in the week finding pretty good success with limit catches most days along with some larger walleyes that were caught and released. We found our success trolling crawler harnesses in water depth from 25 to 30 feet of water some days finding fish up higher in the water column and other days fish were tighter to the bottom. The key to our success over the days was to keep moving to stay on schools of walleyes that kept moving if we were not getting bit or marking fish on our locators we just moved to look for fish. Bass fishing the past couple of trips continues to be good with most fish being post spawn and off their beds but some fish still on beds or even still pre spawn. With cooler weather and water temps staying cool or even dropping in some areas fish that did not spawn are still holding on and will probably spawn here in the next week or so.We have been having good success using soft plastics such as tube jigs, grubs, or wacky worms fished slowly on bottom or just off bottom. We made a switch from bass fishing for a day and went chasing walleyes in the southern portion of the county. Shortly after putting some time in our first area it was obvious that there were not any walleyes that were willing to cooperate there so we were on to our next area. our next spot was looking pretty good when we were setting up showing signs of fish being present but soon it was evident that they were all drum and catfish no walleyes wanting to bite so as often it was time to move on and keep looking for walleyes. 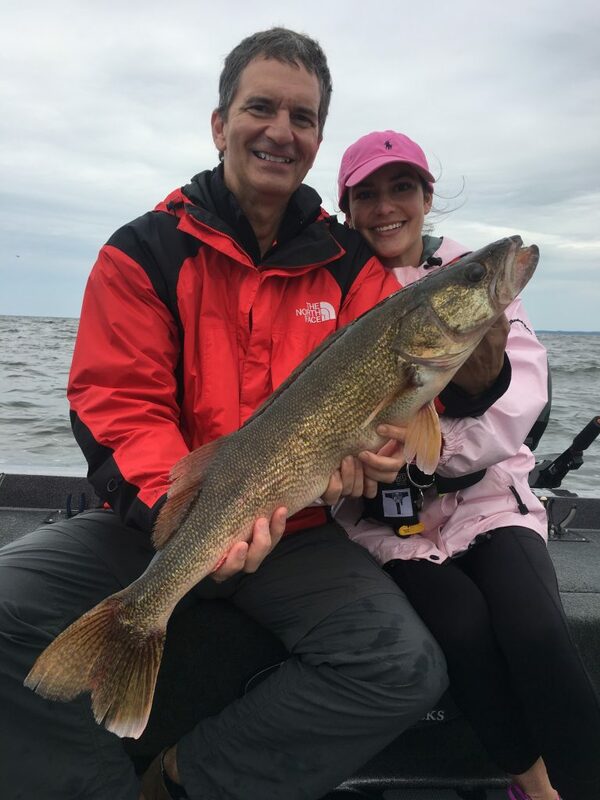 We made a move to deeper water not far from where we were and soon after setting up we were marking good numbers of fish and it was not long after we were putting nice quality walleyes in the boat. Our approach that day was trolling for the walleyes and presenting baits at the right depths was key to continuing to put fish in the boat. Remember to never fish memories even if you have great confidence in an area if you are not catching fish it is time to move more often than not you will find your fish if you are willing to keep searching but there are many times that the fish zig and you zag just always do what you can do to find fish with the conditions that you are faced with.